The twin pinnacles, prominent natural landmarks, were home and sacred shrine to an Ancestral Puebloan people. 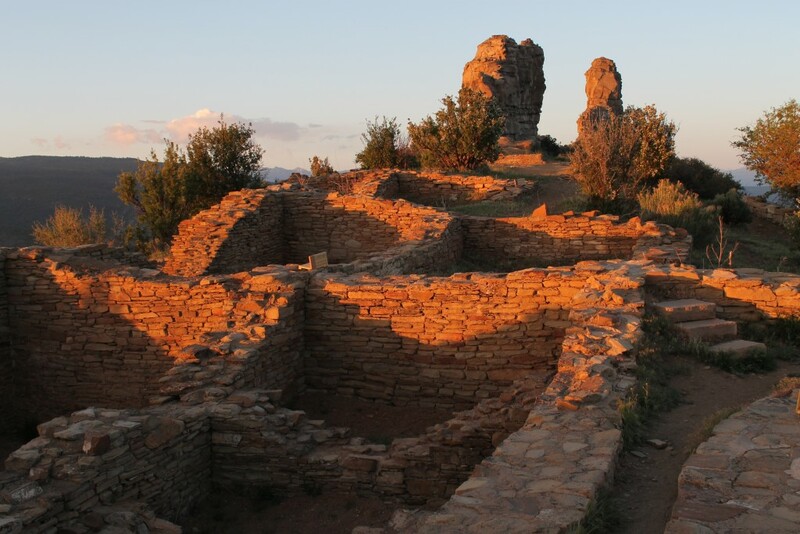 An outlier of the Chacoan culture, Chimney Rock is the most isolated and highest in elevation of the Anasazi communities connected to Chaco Canyon, New Mexico. Its core-and-veneer masonry reflects the same architecture found at Chaco. Some archaeologists believe the site was built solely for religious and astronomical reasons. Chimney Rock: A Site "Saved"